Srinagar, Feb 12 (IANS): Two to three holed up militants in a Jammu and Kashmir village in Pulwama district triggered a gunfight on Tuesday with the security forces during a search operation, police said. Receiving specific information about militant presence, the search and cordon operation was launched in Ratnipora overnight. 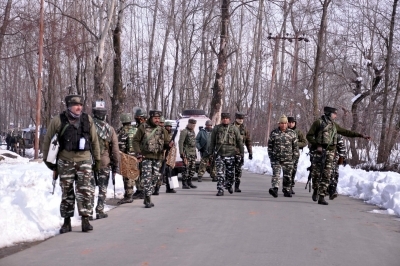 "As the cordon was tightened, the militants fired starting the encounter," an officer said.